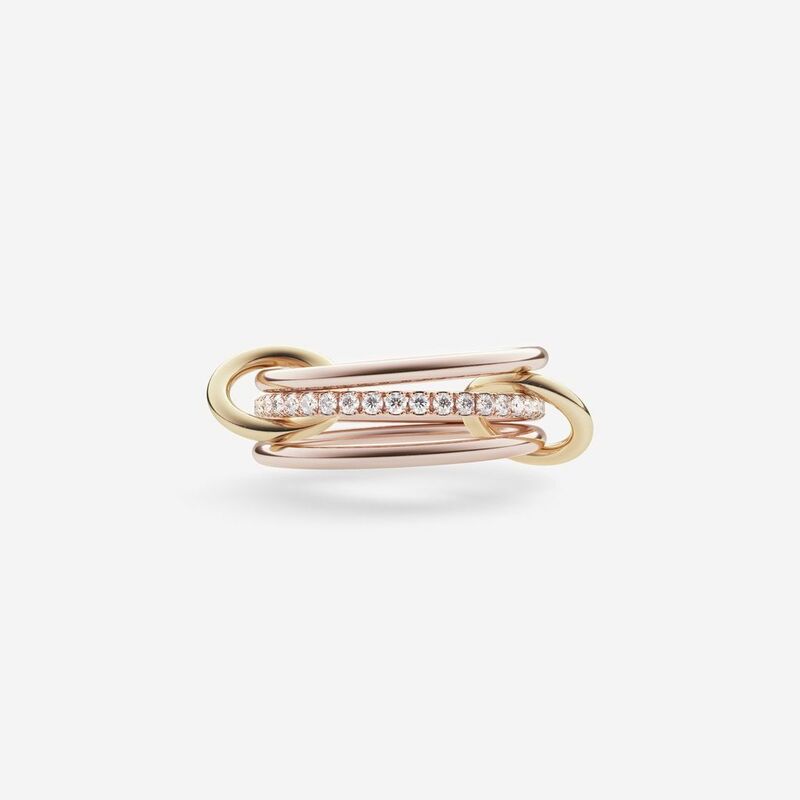 The Sonny Gold is comprised of three linked rings of 18k rose gold, one of which is detailed with white full cut pavé-set diamonds. The rings are joined by two connectors of 18k yellow gold. "Before we launched our Stellar Collection of pavé Galaxy rings, we were commissioned to design a wedding ring for our friend Sonny. It was only the second ring we had ever made with diamonds, and we were excited. Months later, when we were finishing our small collection to launch in Paris, I realized that we were missing a delicate diamond ring. I loved the thin rose gold bands with white diamonds that we made for Sonny, and changed it slightly so hers would still be unique. I wanted to honor Sonny by naming it after her, so it is one of the only rings in the collection not named after a star constellation. It’s since become one of our most popular rings, and is still one of my favorites." 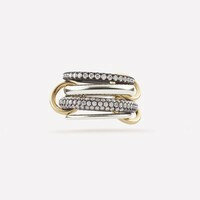 - ﻿Yves Spinelli 3 rings- 18k rose gold Diamonds- white full cut pavé-set diamonds (approx. 0.5 tcw) All connectors- 18k yellow gold Size 6.5.